YOU CAN NOW DONATE YOUR VEHICLE TO SUPPORT OUR LADY OF PERPETUAL HELP RADIO. 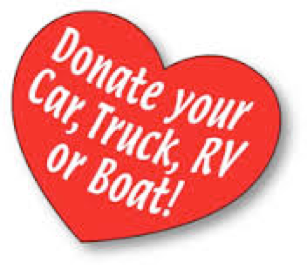 Our Lady of Perpetual Help Radio has partnered with Vehicles For Charity to process donated vehicles. Just call 1 866 628 2277, and they will answer any other questions you may have and make arrangements to pick up your donation. For more information, visit our DONATE page. Yes, Our Lady of Perpetual Help Radio is a non-profit organization and all donations qualify as a charitable deduction on your federal income tax return.